But so many of the discussions about indie publishing vs traditional publishing don’t take into account a very important, and sometimes critical aspect of money for a freelance fiction writer. And that’s timing of the cash flow. In other words: How Much? And When? And trust me, this is complex and will seem odd to many, especially newer writers. But I will do my best to be clear and let you each decide on the path that is right for each of your books. And when you do decide on a path, you might understand the cash flow of that path. 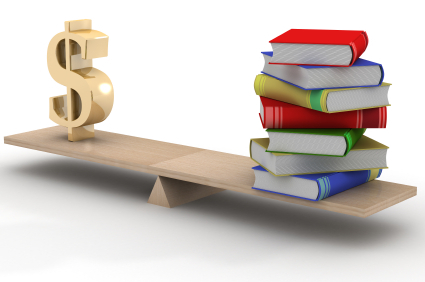 –-Both traditional and indie publishing have time lags in the money.Indie publishing, given the same quality book, the same level of cover, is a much shorter time lag. And with indie publishing stores reporting in so many different ways, it takes some work to see how many books in a certain time period a book actually sold. For example, if an author had a book up and wanted to see how many copies the book sold in January, the author might have to wait until June to get some of those exact numbers. However, discovering sales is far worse in traditional publishing. There the author is lucky to be able to figure out royalty statements for how many books sold and were held as reserves against return in a six-month period a year after publication. And that’s if the author can get the agent to send the royalty statements. At least with indie publishing, with a little patience, an indie author can find out how many books sold exactly in any given month. The full original post can be found HERE. For more of my posts on writing, click here. This entry was posted in Writing and tagged Amazon Kindle, Author, Book, Dean Wesley Smith, E-book, Publishing, self-publish, Writing.